Would you like a FREE book? I’m getting ready to publish my 10th novel and want to celebrate! Leave me a new review on one of my books you’ve read and I will send you one of my previous books, your choice! Leave the review on Amazon or Goodreads, email me, emevansflorida(at)gmail(dot)com, what book you reviewed and where, and tell me which book you’d like for free. Happy reading! Rhinedrops Keep Falling on My Head is finally finished and ready for beta-reader input! In the past I have received valuable comments and critiques from beta-readers that have vastly improved my novels and I’m looking forward to doing the same with my latest book. This is not your chance to read the book before it comes out. This is a serious commitment and a huge favor to me. I need people who will read with a critical eye, be able to articulate their thoughts clearly, and can get their proofs back to me quickly. I will be sending out the cleanest, most polished version that I can, so the main idea is not to find typos (although you will, and they need to be caught), but to hopefully give me feedback on the story itself. Remember, I might not choose, or be able, to make the changes that you think necessary, but your input is still valued and helpful. So don’t volunteer for this if your feelings will be hurt if I don’t use every suggestion you make. In a nutshell, what I want to hear about is: As a reader, what disrupted the flow of the story for you? These are some questions that I’ve pulled off the web to give you a better idea of what I mean when I say “disrupt the flow.” You don’t need to fill in the blank for each one (although you can). This is just to get your thought process going before you start reading. Any confusion on keeping characters straight? Did you like the ones you were supposed to like? What characteristics endeared them to you? Did you dislike the ones you were supposed to dislike? Did the dialogue seem natural or was it stilted? Did any of them feel clichéd? Were their actions and thoughts understandable? Could you clearly see the story settings? Which sections needed better, more detailed description? Which sections were bogged down with too much description? Where did things move too slowly? Where did events feel too rushed? Were there events that should have been given their own scenes but weren’t? What page/chapter were you on when you took your first break? Did your mind ever wander? What made you laugh or cry? Were there parts that seemed awkward? Is there anything you are still wondering about? Was the progression of events believable? Where there events that seem like a digression rather than adding to the story? Were there holes in the story? Did anything happen that seemed unbelievable? Did you see the ending coming? My undying gratitude and thanks. A personal thank you/mention in the dedication to the book. A copy of the completed ebook when published in the format of your choice. So, sound challenging? If you think you have what it takes, message me your email address on Facebook and let’s get reading! Food for Love by Erin Evans is a humorous tale of love and food! They say that to get to a man’s heart you should aim for his stomach, but for Cordelia McKellen that simply isn’t true. You see, she comes from a gastronomic family, but it seems she is the only one who can’t cook! Give her a piano and she’s happy; give her a set of saucepans and she goes into meltdown. When her grandmother dies, it comes as a shock to find that she will inherit her business, but she must meet some strict rules first. A gift from her grandmother, a chafing dish that can truly work magic is the only thing that she and her best friend have to help them conquer the world of catering. Add a handsome neighbor who isn’t all that he seems to be into the mix and you have the perfect ingredients for a laugh-out-loud comedy of errors. Food for Love by Erin Evans was a hilarious read. The story line was truly unique and it had me hooked from the very first page. This is one of those books that can easily be read in one sitting because you won’t want to put it down. The plot is ingenious, full of magic, laughter and love, with a few disputes along the way. The character development was second to none and the main protagonist is one that we should all be able to identify with. This is a great read for anyone who feels a bit low because I guarantee it will lift you up and shake the blues away. Great story, and I will definitely be reading more from Erin Evans. The Shattered Shoe by Erin Evans is a story about Morgan. This young woman grew up while her father was always too busy on his adventures to remember birthdays and other important events in their family’s life. One day she gets a package in the mail. A two-handed sword was accompanied by an urgent note from her father to meet on her mother’s birthday. Since her mother had passed away, the meeting was to take place at the cemetery. Morgan sees her father at the grave site when a dark figure of a woman shows up. The woman plunges her claws into Morgan’s father’s chest and pulls out his beating heart. Infuriated, Morgan crashes into the woman, and both are instantly transported to another time and place. After witnessing the woman consuming her father’s heart, Morgan uses the sword to defeat her. Alone in a strange land, Morgan finds out that she is in a place where there are no phones, no cars, and … no Starbucks? Erin Evan’s tale is wonderfully written with the sense of sarcastic humor that comes naturally between Morgan, and her (new) best friend Fenris, a strange wolf-like creature. Whether in telepathic communication or verbally, their banter brings out the best and worst in each other. Being the first book of the trilogy, The Shattered Shoe has moments that remind me of a cross between Once Upon a Time, and The Brothers Grimm. I found this magical book to be smart, funny, and full of action with many surprises. The cover art for The Sallow Spindle is here! Wonderful work by Patience Welch! Is anyone creeped out? The Sallow Spindle (Book 3 of the Pernicious Princess Trilogy) is through the proofing stage, and the cover art is almost done. 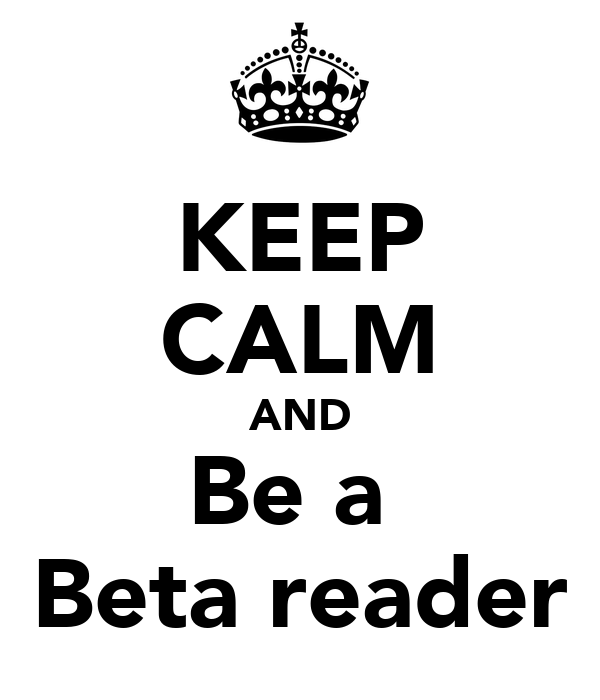 I had great response from my last request for Beta Readers and got some wonderful feedback. Since it went so well, I am hoping to do the same for this book. If you are interested, keep reading for important instructions! A copy of the ebook via Amazon or an epub file (Since I’m putting this as a Kindle Unlimited it won’t be available from B&N, Apple, etc. If you prefer an epub file type I will create a file just for you). So, sound challenging? If you think you have what it takes, message me your email address on Facebook and let’s get reading! The first five people to answer will be my beta readers for The Sallow Spindle! Reader’s Favorite, an independent book review site, just gave Don’t Rhine on My Parade a 5 star review! The first book of my twisted fairy tales series The Shattered Shoe is $0.99 until 11/25. Enjoy! I’m going to be giving away the 1st Rhine Maiden book, “Don’t Rhine on My Parade” from 10/15 through 10/19. If you haven’t read this series or left a review on Amazon now’s a great time to do both. Enjoy! The Malevolent Mirror – Now Available!